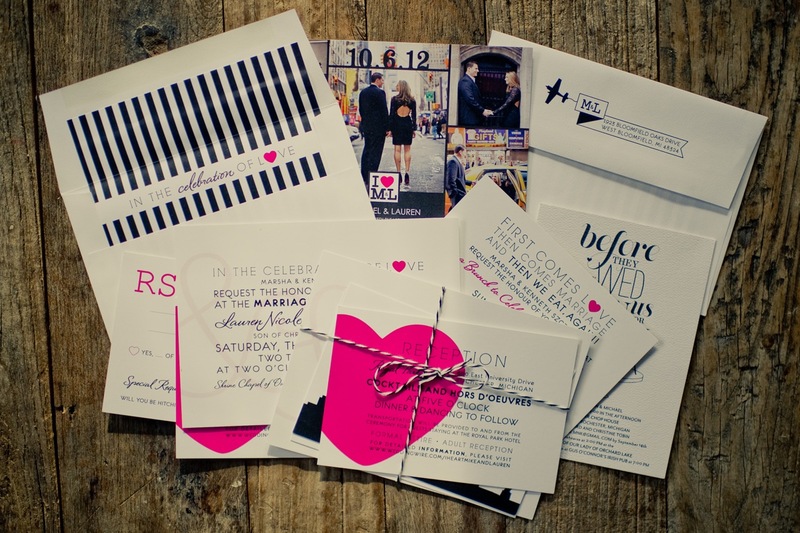 I designed Passport Save the Dates for Jennifer a while back, as well as her boxed Starfish Invitations. 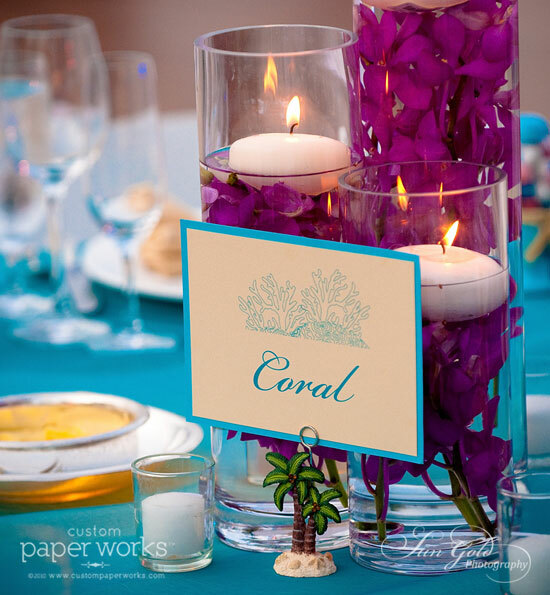 Her wedding reception stationery continues the tropical theme with a monogram and marine-life accents. 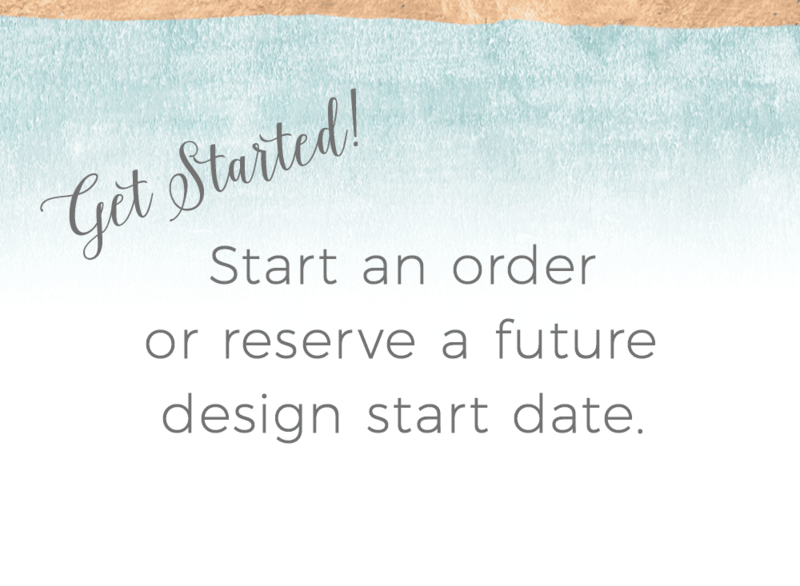 Jennifer really took advantage of customizing and coordinating so many wedding-day accents. 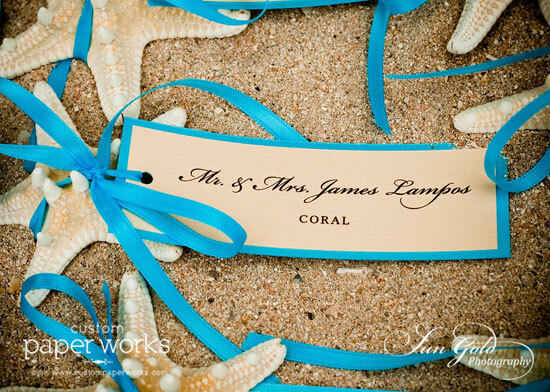 Two-layer place cards (tied to starfish) greeted each guest. 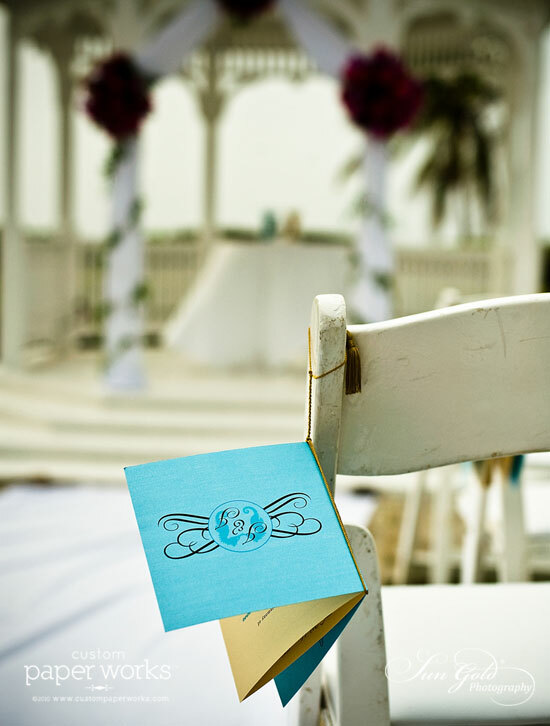 Tables were named after beach and marine life with a sketch-like illustration accenting the cards. 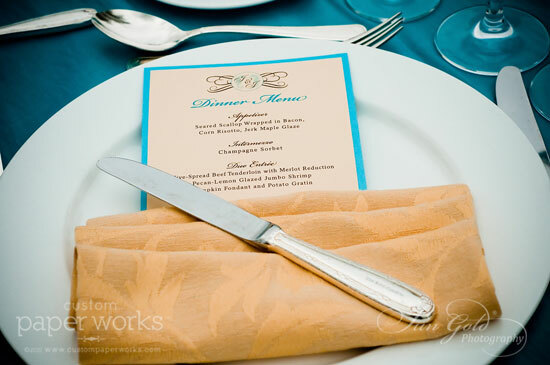 Menu cards featured the monogram which was originally featured on the invitations. 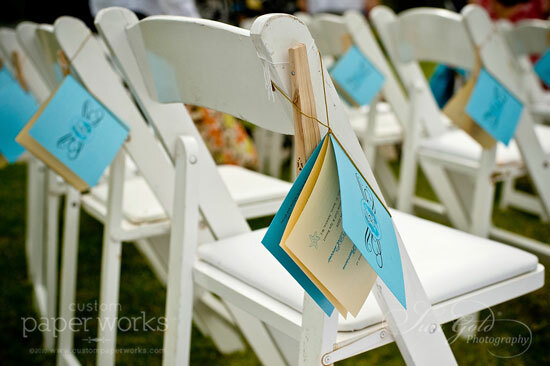 Square folded programs were accented with their monogram and luxe gold tassels. Signature drink and appetizer tent-cards greeted guests at cocktail hour. 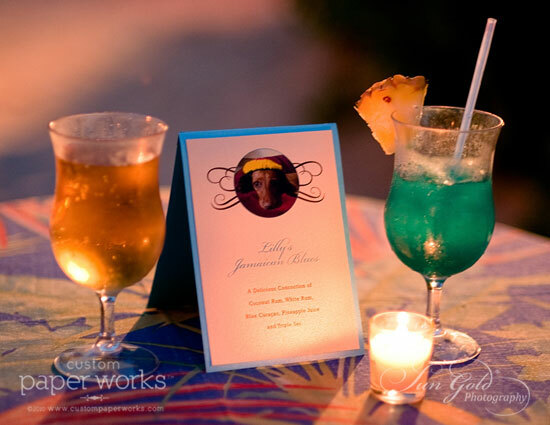 I love that their dog Lilly was the inspiration for their Signature Drink “Lilly’s Jamaican Blues,” because she was so sad she couldn’t be there! And one of her favors were custom travel mugs! I also designed a modified version of their monogram especially for them.